These are conversion brackets to mount an alternator in place of a generator on Flat Head Ford motors. Are you tired of the low output of your OEM generator? 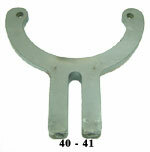 Make the switch easy with these custom brackets. 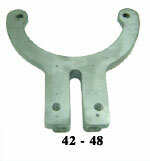 These replacement brackets will mount in place of the original factory generator with integral brackets and then allow installation of your choice of numerous alternators available. Check out our 1-wire 12 volt and 6 Volt alternators in this store. 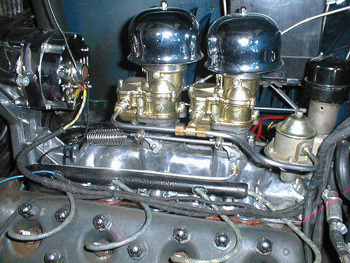 OEM style design makes it easy to get the proper belt alignment and tension. Alternator not included. 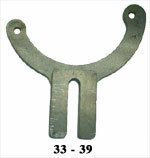 Take your choice of a bracket that will accept a GM 10SI or CS130 alternator. 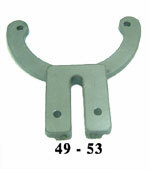 We also have wide groove pulleys available for 1/2, 5/8, and 3/4 width belts.